Discovering new music has never been this fun, with the MusicStore script you can have an instant and fully automated music affiliate website filled with the best and latest songs, albums, music reviews and music videos. 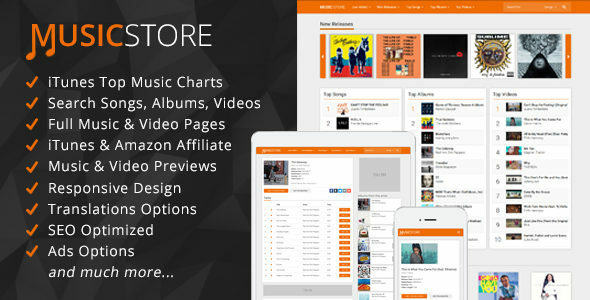 With use of the iTunes api the MusicStore script makes it possible to have a fast, lightweight and huge music store website that is always up to date with the latest and most popular music. The MusicStore script has a modern and responsive design, the homepage features a scrolling carousel featuring the new releases, top 10 charts for songs, albums and music videos and a just added music section, the homepage is also being cached for faster loading. 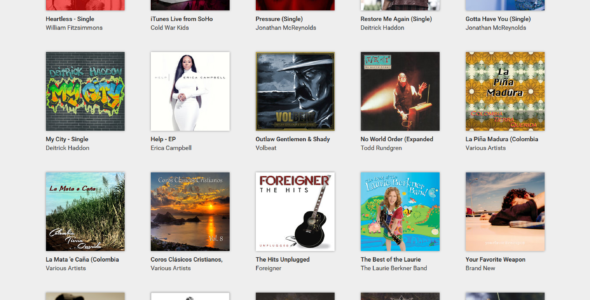 The users can browse the MusicStore in five categories; just added, new releases, top songs, top albums and top videos, you can also filter the results by genre or use the search function to find any song, album or music video that is available on the massive iTunes music library. Single music and video pages contain detailed information about the song or album and provide a 30 seconds music or video preview for each songs and optional iTunes and Amazon affiliate links. 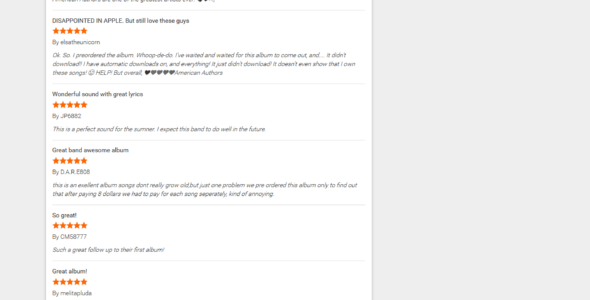 If available it will also show sections for the iTunes users reviews and other albums and music videos from the same artist. There is an optional Disqus comments section and also AddThis social sharing buttons and advertisement spots are in place. You can select to use the iTunes store for your own country to get the most popular music charts in your country, you can see the entire supported country list here. Combined with the MusicStore script translation settings you can easily transform your entire website into any language that you wish. For iTunes affiliates and Amazon affiliates the MusicStore script offers a great way to promote music and earn a commission on revenue generated by clicks initiated from your website, just input your affiliate id in the settings file and all the links to iTunes or Amazon will have your affiliate id attached to them so your sales will be counted. Tags: affiliate, albums, amazon, api, charts, html5 player, itunes, jquery, lazy loading, music, responsive, search engine, seo, songs, videos.